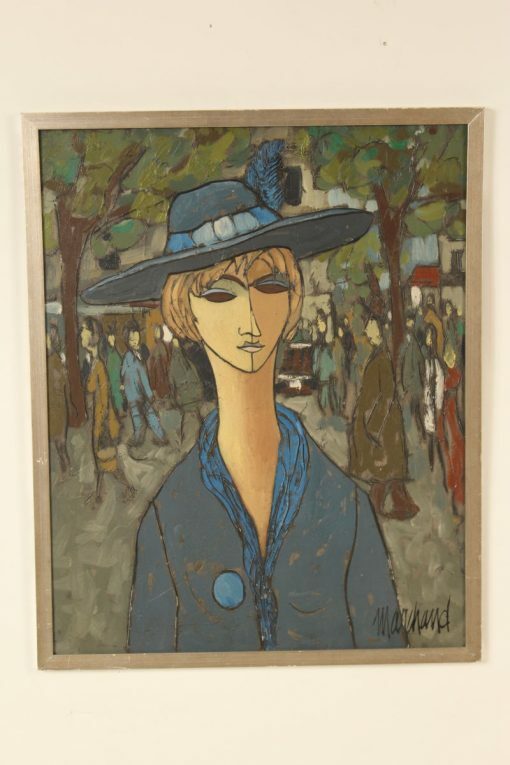 Portrait of a girl by well listed French artist Philippe Marchand, circa 1960’s. Oil on board. Frame dimensions, height 25.5″ width 20.75″. Dimensions of painting, height 24″ width 19″.